Description : Two Bedrooms / 2.5 Baths, Dining and Living Room, Fabulous South & East River Views. Description : Spacious and beautiful studio with hardwood floors, Bright Southern exposure, dressing room, separate kitchen, good closet space. - Sought After Location !!! 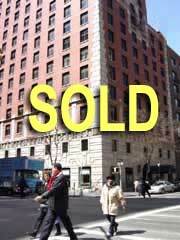 Description : Rarely Available, Old World Charm, Large Corner 2 Bedrooms with 2 Full Windowed Baths. Beamed Ceilings, 3 Walk In Closets, Renovated Eat in Kitchen, Hardwood Floors and Sunflooded with Partial Central Park Views. A Must See!!! and A Superb Value!!! Description : - One bedroom, Bathroom with Jacuzzi. - Well-lighted, apt. with two huge windows facing south. Description : Large 1 Bedroom Apt. in Prestigious Beekman Town House Condo. Large Entry Foyer, And Extra Large 22'X13' Living Room with BIG Windows facing North with Skyline and Unobstructed Views. Marbled Bathroom, Granite kitchen countertops, Parquet Floors and Walk in closets. Description : Luxurious 20' X 14' Studio with a Pass Thru Kitchen, Marble Bathroom and Large Walk-in-closet/Home Office. High Floor Panoramic 6' X 4' Outdoor balcony with East River and Manhattan Skyline Views. Great light all day long in a full Modern Luxurious Condominium. Description : Fabulous South West (Empire State, Chrysler Bldg.) & South East (East River) views from this dramatic Large One Bedroom / marble bath High Floor Apt. Located in Murray Hills most sought after Full-Service White-Glove Condo. 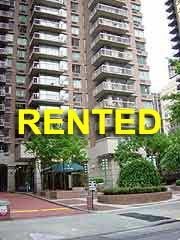 Windowed Kitchen, Parquet Floors, Large closets in a Lifestyle Full Service Condo with state of the art Amenities. 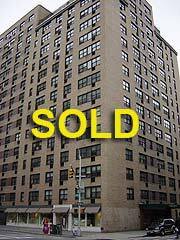 Description : Immaculate Large Corner One Bedroom with Tiled Master Bath and Stall Shower. Powder Room with 'BOSCH' Washer & Dryer in place. Panoramic North West & Southern Manhattan Views. Windowed California styled Kitchen. Great Entry Foyer with Stripped parquet Wooden Floors. Raised Living Area. Tasteful Built Inns Sound proofed Master Bedroom with Lots of Closets 10' X 6' Tiled Balcony Flooded with Morning Sun and Afternoon Sunsets!!! Description : 'A Kingly Domain' - Historic Character of Cast-Iron Architecture! Dramatic 15' Ceilings and Enormous Windows, infuses this Loft Apartment with Brilliant Light and Open Views. Beautiful Oak Wood Floors and other high-end finishes adds warmth and elegance in this wonderful Loft Home. Luxury Stone Master Bathrooms are attractively appointed with high-end Kohler Fixtures with separate Baths and Showers. Fully-equipped deluxe Kitchen with Granite Countertops, Poggenpohl Cabinetry and Viking Appliances. A Maytag Washer & Dryer brings in the Lifestyle of everyday living. In Addition 300 to 400 Sq. Ft. of Optional Buildable Loft will create additional floor area's for a Den or an additional Bedroom without adding purchase cost. WHAT A FAMILY HOME YOU CAN ENJOY! Description : Bright, sunny apartment with floor to ceiling windows all throughout. Balcony off the living room with full city views. Washer and dryer in the unit. Full Service building with health club and pool. Description : BEST BUY IN BLDG.!!! 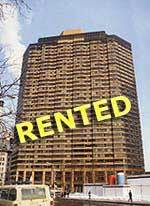 Hi Floor, East River Views 1 Bedroom with a large Bath and 4 Closets in Full Service Co-op with Penthouse Health Club and Pool. Pet friendly!